Extrêmement bien situé dans un endroit calme de Trastevere. Proche du centre historique - 20 minutes à pied. Décoration soignée. Très confortable. Un petit bémol du fait qu'il manque un lave-vaisselle. Amazing ! 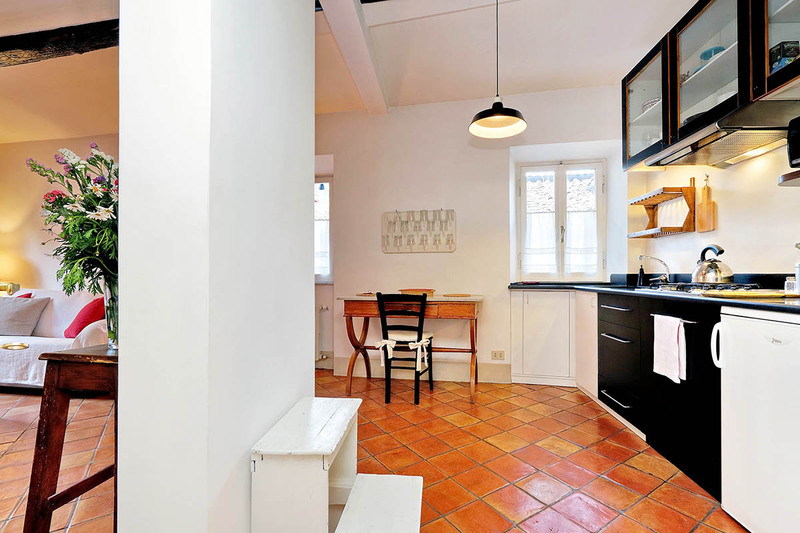 This is a calm and beautiful apartment in a great part of Trastevere. A wonderful place to return to after a day walking Rome. Mr Honey was a diligent and very pleasant host. Negatives? Perhaps the bed isn't quite up to the standard of the rest of the apartment. Would I stay there again? Definitely. One detail we would like to share with you is that the availability of english speaking television, particularly news channels or movie channels, would have been very much appreciated. It would also have been appreciated if a map of central Rome had been left for us. THANKS! The entrance door leads into a large, open living room. 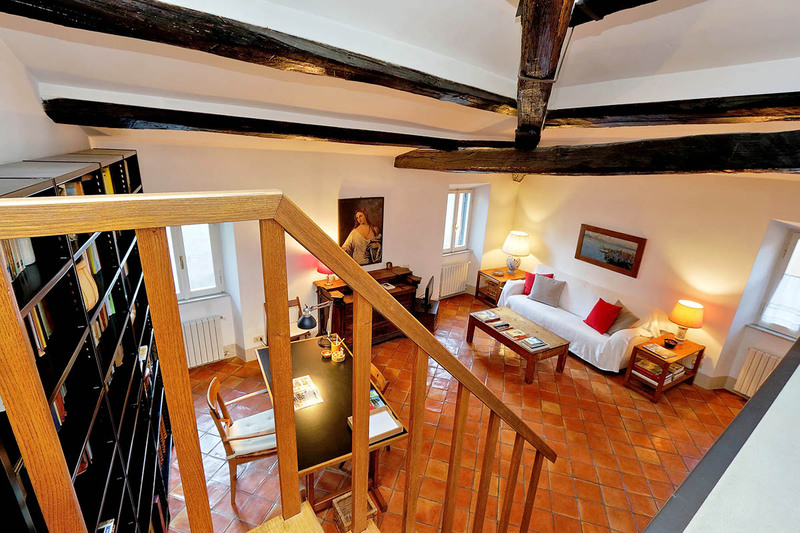 This boasts old, wooden-beam ceilings and a lovely ceramic tile floor. The apartment offers the perfect balance between spacious and cozy. 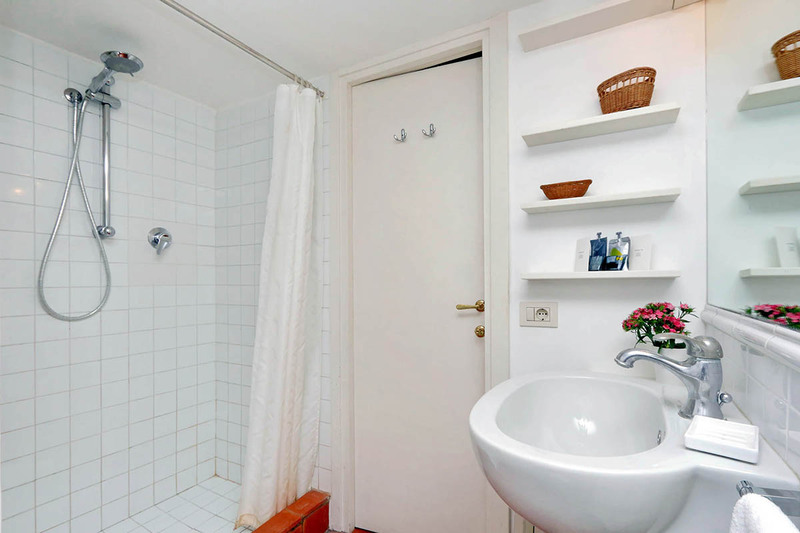 Moreover, it comes complete with every detail you could think of for your stay in Rome. The living room has sofa-bed, which can sleep one person. Here, you will also find a coffee table and a small TV. Nearby, you’ll find a dining table with chairs for 4 people. Four windows illuminate the entire apartment. 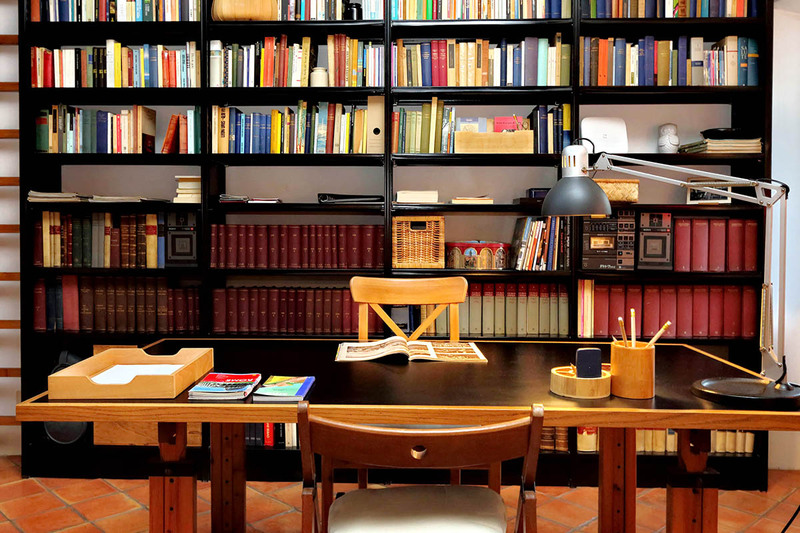 You can also make use of a big library with a beautiful book collection. A small flight of steps leads you up to the master bedroom loft, where a skylight floods the space with sunlight. A king size bed awaits you here, under the flight of steps there is a walk-in closet, here you’ll find also a safe, an iron and a small iron board. The bathroom is accessed through a door under the bedroom loft, it has a shower and a hair dryer. The apartment also features air conditioning and a very good Wi-Fi Internet access. It is in a safe and central location in a beautiful, medieval neighborhood… All the elements to make your stay marvelous! 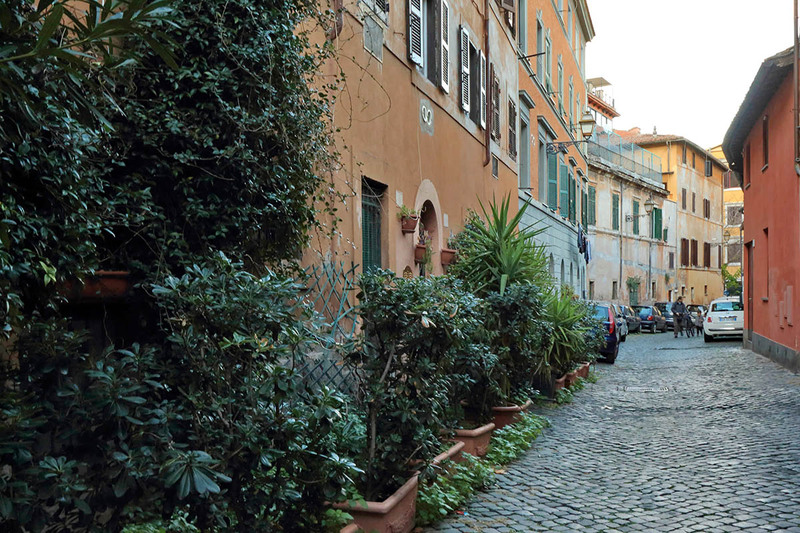 The Trastevere district is one of Rome’s most characteristic. It consists of a maze of small medieval cobbled streets, filled with restaurants and bars. Here you can enjoy some truly authentic Roman cuisine, before heading to an atmospheric wine bar for a glass of exquisite wines. 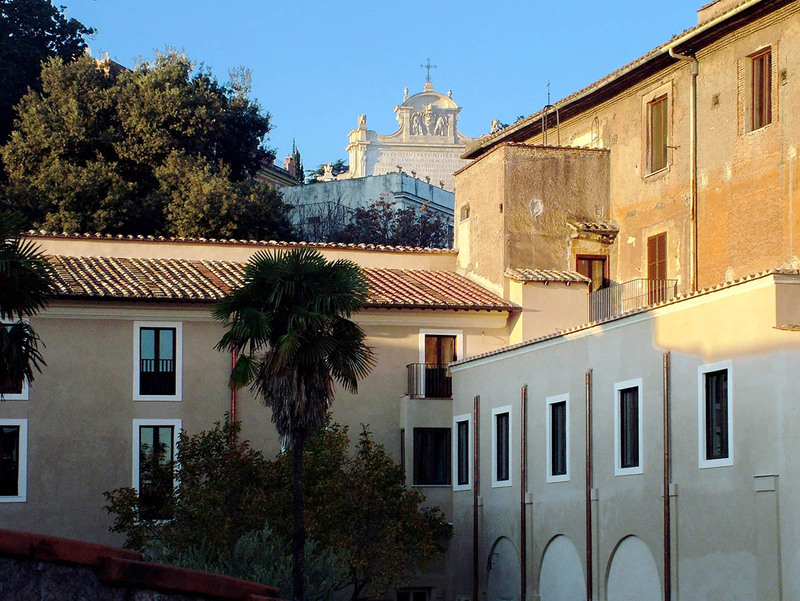 Just behind Trastevere you will find the Gianicolo hill. Head up its steps in the evenings with some pizza and a beer. The sunset from here is just breathtaking, as the sun disappears behind the dome of St Peter’s Basilica. Crossing the river you will arrive in the Campo de’ Fiori area. This square moreover has a daily morning market which is a great place to pick up some fresh produce. Why not come here to stock up on ingredients for a delicious meal later at home? 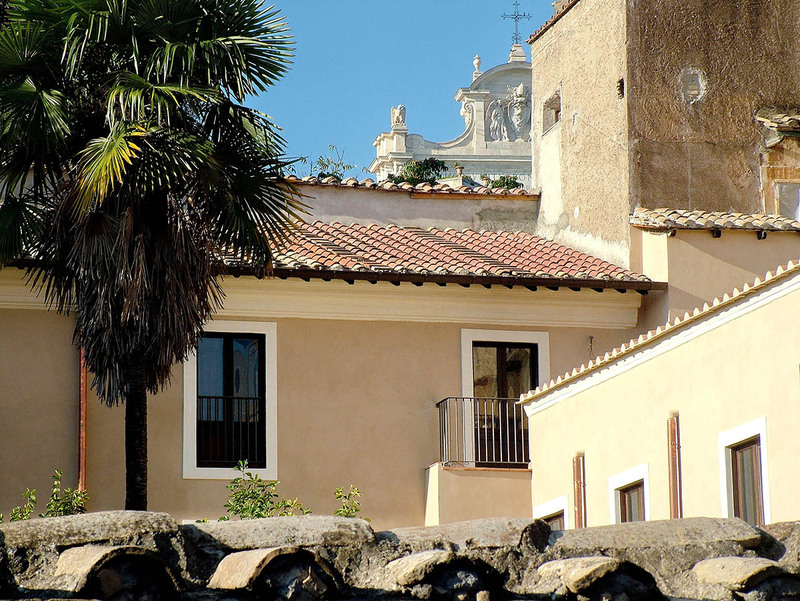 The area is moreover a great place from which to explore the rest of Rome. Well under half an hour’s walk will take you to the Pantheon, the Trevi Fountain, the Piazza Venezia, the Castel Sant’Angelo, and the Vatican City. Just a little further away you will find the Colosseum, the Piazza del Popolo, and the Spanish Steps. This apartment is extremely comfortable, very well equipped (we found nothing missing) and very attractively furnished.It was a pleasure to 'come home to' after each excursion. Its location in the lively area of Trastevere, with its many bars and restaurants, is excellent too; there is much of historic and aesthetic interest to see very c...Read Morelose by and it is an easy walk across the Tevere to the historic centre of the city where almost every step takes you to some amazing church, palazzo or monument. Public transport of trams and buses, along the Viale di Trastevere is also easy to reach and very convenient. The staff of RomeLoft have been most helpful and in every way our (winter) stay here has been most enjoyable. This is the second time we have stayed in this apartment. We find the location perfect: in Trastevere, a short walk from everywhere, but outside of the busiest parts. 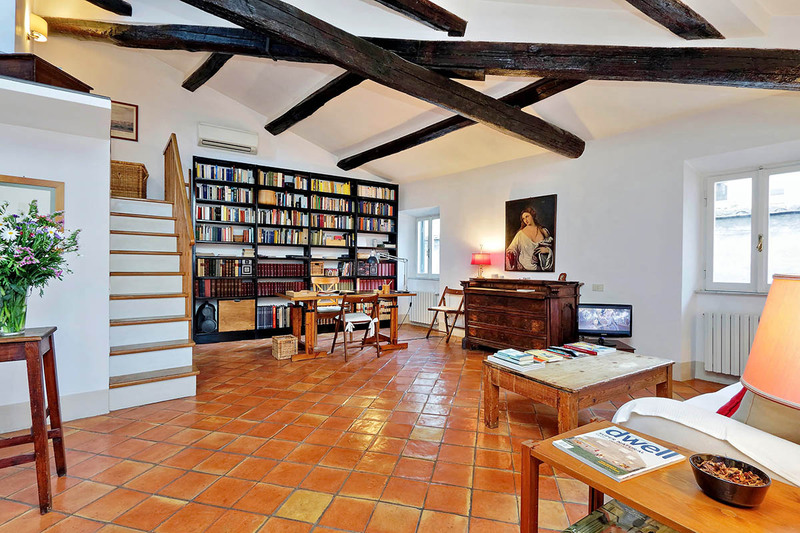 The area is quiet, the apartment delightfully relaxing; it is always a pleasure to return after a day walking Rome. 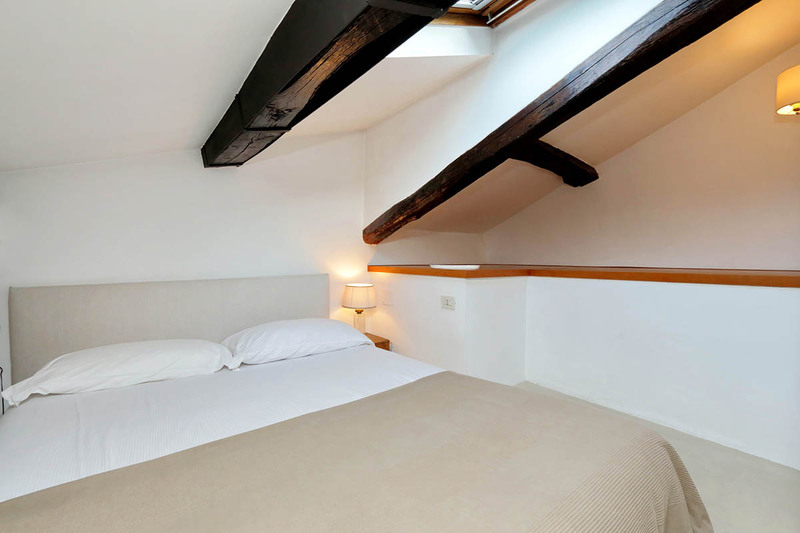 The kitchen is perfectly adequate, the bathroom works well, we slep...Read Moret happily in the mezzanine bed. Definitely recommended. 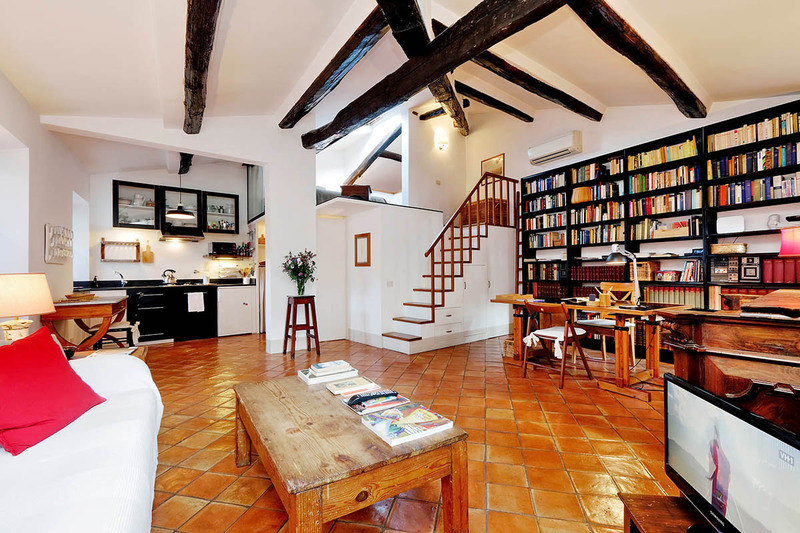 Our second stay in this Trastevere apartment. We love the location - in spite of the roadworks! - and it's a great base for exploring Rome on foot, stocking up at the Cosimato market, visiting local restaurants, popping out for a coffee. The evenings turned cold but the heating was quick and efficient and there was an excellent shower. Coo...Read Moreking facilities are adequate with a very good hob and a rather slow mini oven & grill. If we're allowed one criticism, the sofa bed isn't the most comfortable chair with very little back support. I would have loved an armchair with some extra cushions. Don't let the steep stairs put you off, it's worth the climb and it's lovely to be high up above the street. It feels very safe and secure. Do visit the Gianocolo Park for some of the best views in Rome and the Botanical Gardens which are just round the corner. Some of the the local backstreet restaurants are excellent and traditional and much quieter than the main streets. We also recommend the Testaccio market - within easy walking distance. If you want to go further afield it's an easy walk over one of the bridges into the very heart of Rome. 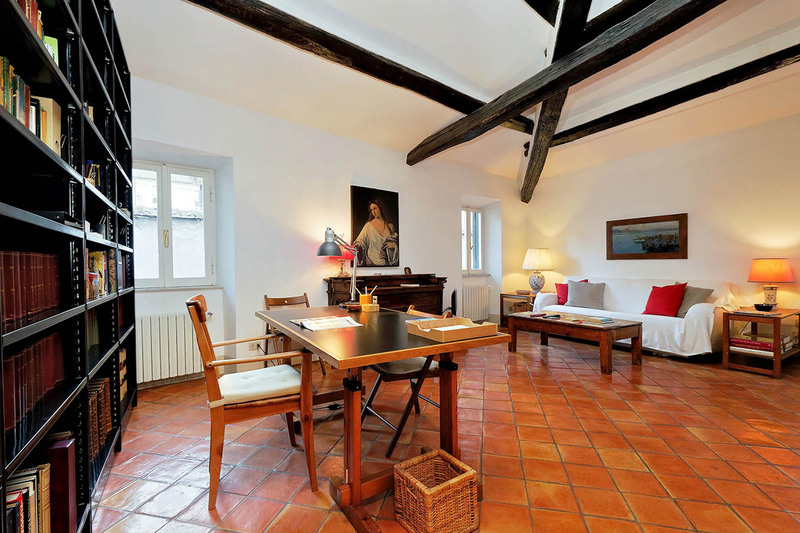 We're very happy to recommend this property and the service provided by Rome Loft. We had a wonderful week in Trastevere and the warm October weather was an unexpected bonus. We loved the area, full of character and atmosphere. 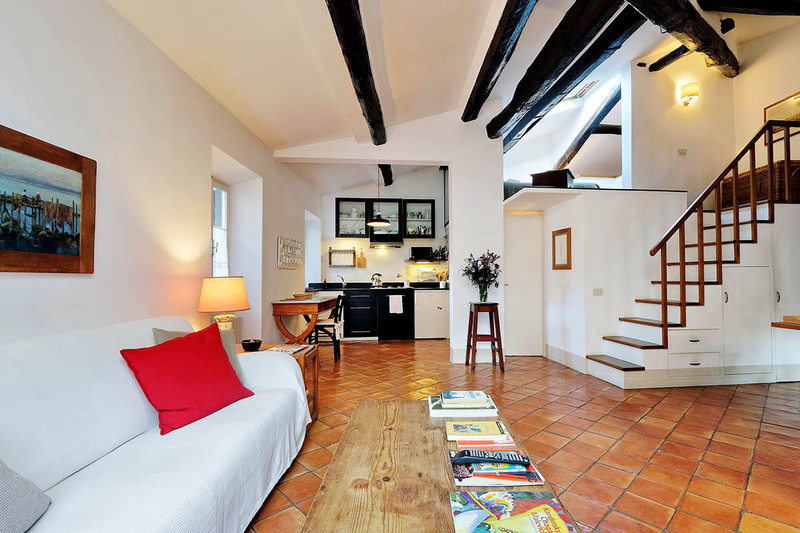 Our loft apartment was tucked away down a rather shabby cobbled back street which we became very fond of. It was spacious and comfortable, well equipped, light and airy with an excellent shower, good ho...Read Moreb, air conditioning, radiators, a comfy sofa and a firm bed. 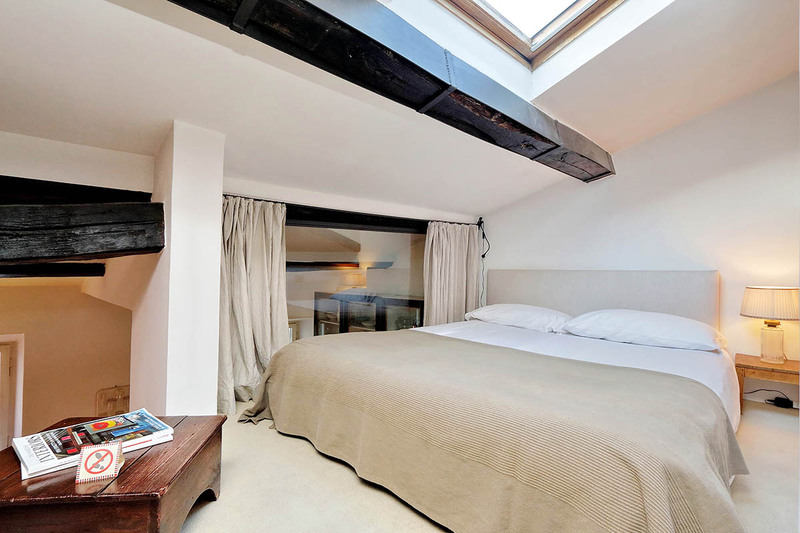 (We did sometimes worry the bed would roll over the edge of the mezzanine into the room below but we were spared!). We found a wealth of good places to eat and drink, enjoyed the entertainment in the square, went to the Botanical Gardens (just round the corner) and gazed at the stunning views of Rome from the Gianicolo Hill at the top of Via Garibaldi ( a flight of steps close by took us to the entrance). We recommend the SIT bus service from Fiumicino Airport to Piazza Cavour followed by a taxi to the property ... it's easier than facing the scrum at Termini station. From the accommodation, t's an easy walk to the pedestrian bridge, Ponte Sisto, and from there you can hail a taxi if you need one. We took one to the Borghese Gallery (having pre-booked our tickets); it only cost a few euros and was easier than negotiating the buses and trams. But mostly we walked and explored and marvelled. Overall, highly recommended accommodation in a really interesting part of the city. The booking process was efficient and accurate and everything was as described. Lots of lovely places to shop and eat & watch the world go by within walking distance. We would love to go back. 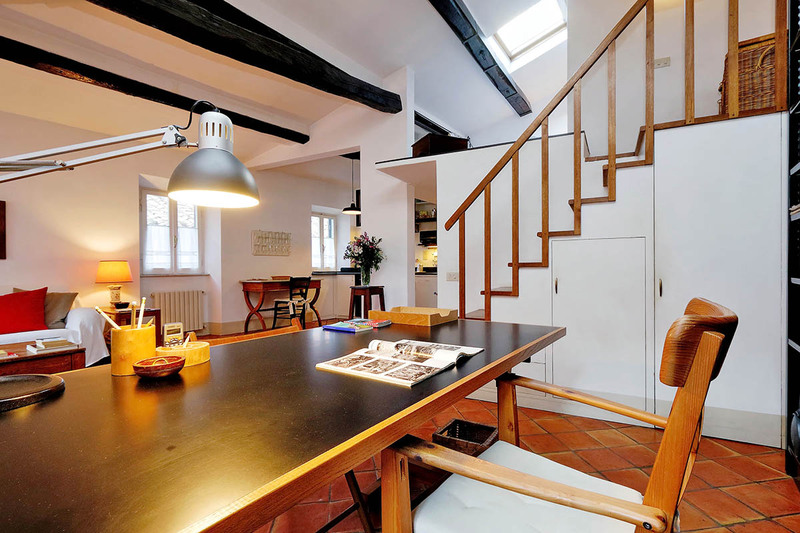 We could not have wished for more, not only did the apartment have everything we needed it was full of character with traditional furniture, good attention to detail and being dual aspect it was very bright and airy. The bedroom area was very spacious if a little low but this really didn't matter as you only sleep there and the 'walk in w...Read Moreardrobe' is downstairs.It's situated in a very lively area with quaint cobbled streets but is very quiet at night as slightly away from the main streets. It was easily reached from the airport by public transport which is very cheap and efficient .Mr Honey Sing met us on his bike and gave us a detailed tour . We felt this was a well cared for and well managed apartment and would definitely return there again. I loved my week-long stay in this apartment. 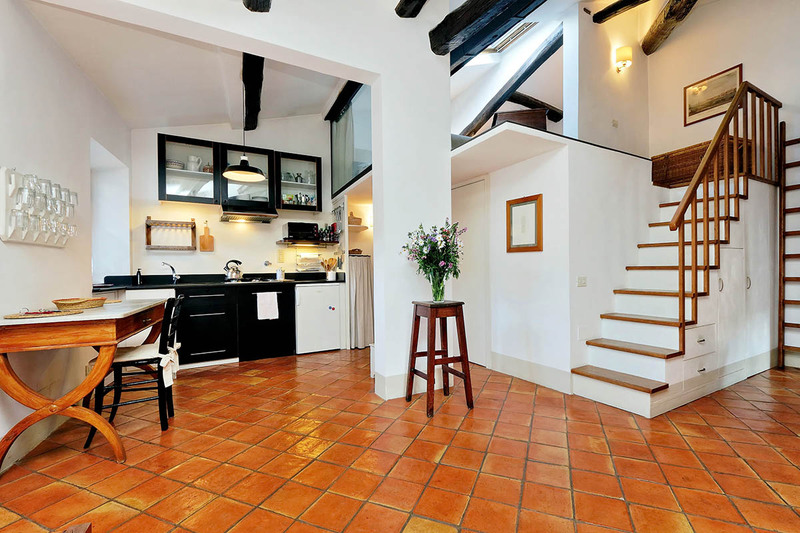 The apartment was gorgeous with terracotta tiled floor, well furnished and well equipped for self-catering. With windows on two sides the apartment was light and airy (but aircon also works well) and I loved throwing the shutters open in the morning and seeing the rooftops. 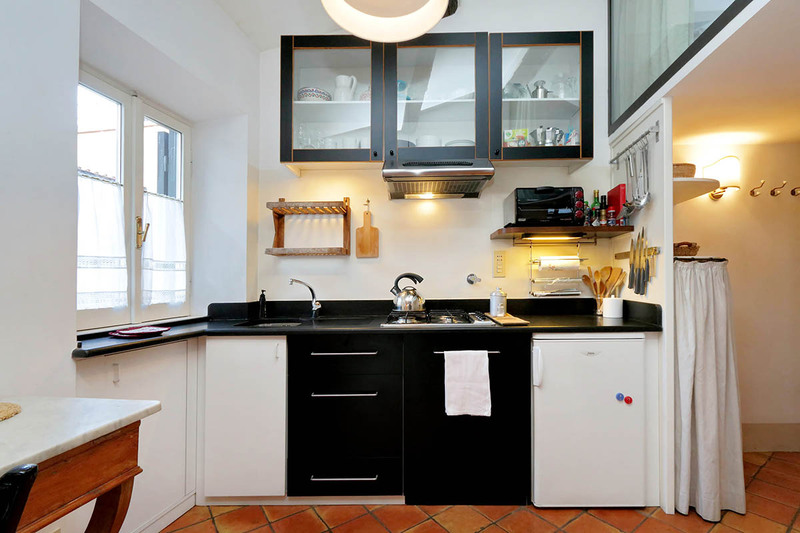 The apartment is situated in a...Read More quiet street in the heart of Trastevere so minutes' walk from great restaurants, bars and small supermarkets for supplies. Only a couple of notes of caution: the apartment is on the top floor reached by two flights of steep, narrow stairs and the bed is on a mezzanine floor which would be unsuitable for those unsteady on their feet. I loved staying in this apartment and hope to return for another stay in the future.